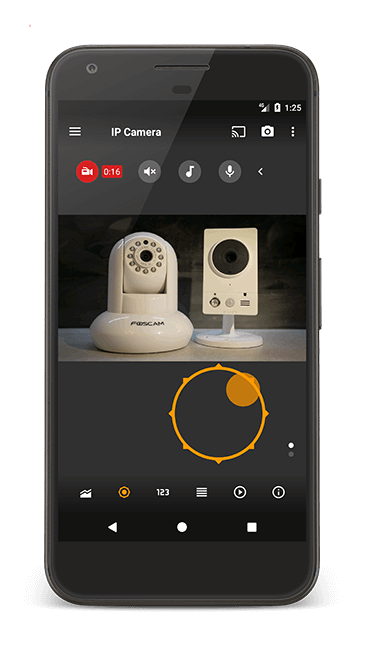 tinyCam Monitor is an Android app for remote surveillance/control for your private or public network/IP cameras, video encoders, DVRs, and webcams. Monitor your baby, pet, home, business, traffic, and weather remotely and securely. tinyCam Monitor provides best value to customers. See YouTube channel to find out how it works. tinyCam Monitor has two versions: FREE and PRO (paid), and is available on Google Play, Amazon Appstore. It supports thousands of MJPEG/MPEG4/H264/H265/RTSP/ONVIF/P2P IP cameras.